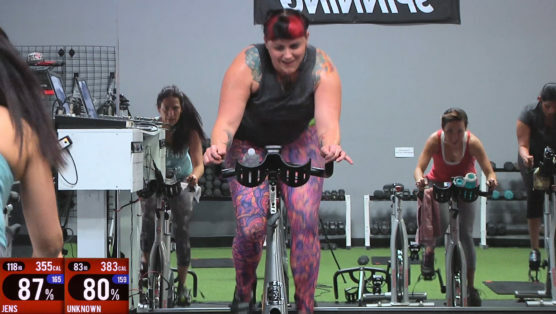 Take the time you need to prime the body for a long hard ride, hop on the bike to get that body nice and warm for a HIIT Training Bootcamp workout, or just get your blood flowing for 12 minutes on those days where 12 minutes is all you have. This lower intensity ride is perfect for all the scenarios above and more, so hit play to make it a better day! Great warm up , Cat! Used it to cool down Haha! Worked great! Excellent warm up for before a 30 min TRX class. Good suggestion! Thanks for adding it as an option below another class! MM2019 – Great warm-up! Thank you! MM2019 #23 Great warm up to great my workout started. Thanks Cat! Love this warm up! Thanks, Cat! MM2019 great warm up before sculpt! Great warmup! I’m going to use this often! Thank you! Nyoc2019 – added this before mere w new hiit spin class! Perfect warm up for me! Thanks, Cat. Great warm uo! NYOC2019 Bronze. Love this warm up before a sculpt only class. Hw 2019 #6b. Always a great extra to get in some mins and a quick sweat! Did this twice !! Back to back and pedaled backwards the second time, silly me !!! MMFC #1, part 1. Coming back after a holiday virus. Drive To 25 – 2018 #19/25 – Part 1 of 2 – Nice and quick warm up before hitting Brian’s Chest and Back class! Finished up with this after my weight training. Nice finish to my workout for day! Still dripping! Never fails! Have great day Kat! Warm up before sculpt 🤙🏼 thanks, Cat! Drive to 25 class #17, part 1…will be doing Jessica’s 22 minute sculpt as well! Drive To 25 #14. Part 1. Paired this with Cats Spooky Spin. Sweat in a hurry. Drive to 25 #17 part 1 Thanks just what I needed to get me going! Drive to 25/5 (1st part) perfect warm up and now off for sculpt! Perfect warmup before sculpt class! Thank you, Cat! SFL2018 ready for the next workout!!! Sfl2018. A great warm up before starting a strength workout! SFL 2018 #2. Pairing it with Bethany’s 20 HIIT for a great saturday! What a combo! I’m trying that next! 14MDM May 21st. Totally forgot to post a comment! added at the end of a strength workout at the last minute just to burn a few more calories! perfect! Look at you! Sounds like you had an amazing & eventful workout! First time spinning after injury in 5 months!! Jist the perfect starting class for me!! I did it and i feel amazing! Thank you!! WELCOME BACK TAYLOR! So happy you feel amazing and we’re excited to have you back with us! A trio of Cat classes tonight! Started with this, then the 20 minute cardio & core, and finished with Ab & Core: Flatten and Firm. Thanks for the burn! Thanks for making time and hope you made it on your flight!! Awesome. Thanks Cat. Just what I needed after a break from class. You rock girl. Heck yes! You go girl! Warmed up. Ready to work out 🙂 thank you, Cat! You’re loosened up and ready to go Anna :)! Great warm up! I will definitely use this! Thanks Cat! Used this warmup before Brian’s Sculpt class. Thanks Cat for always giving us what we need. What a wonderful idea Cat! Did this and then moved onto Brian’s 20 min upper body lift. What a great combination – What a great team! I’ll have to try that combo myself 😉 Thanks for the recommendation! Terrific, and exactly what I was hoping for. Thank you!!!! Added this to a 30 min spin! Would be great if I am short on time too! Great warmup! Just 12 minutes and the sweat started to drip!!! NICE Axel! Sounds like you’re working hard! Yes Rachel! So happy you found something that works for you! And I’ll definitely think about it, that’s a great suggestion! Great way to warm up! This is going to be my “warm up” for all the SSOD sculpt classes that do not include one…great idea! Cat, you are the best!!! This was just what I needed today. I didn’t think I had it in me to workout today (physically or mentally). But after I did this one, I found the energy to do a 30 minute spin/core class and topped that off with Elli’s 20 min stretch and restore. Perfect ending to a not so perfect day. Thank u! I did this after a 30-minute workout when I realized I had some extra time. Really enjoyed it with no class members and Cat in her calm state. Sometimes one just needs that! Thanks for all the variety. SSNY2018 – great warm up for Bethany’s 30 min bootcamp! SSNY2018 ~ week 3 #1 this was my warm up then on to a yoga session with Janice. Perfect combo! Thanks! Fabulous extended warm up. Straight to favorites. Perfect for weight/sculpting prep. Thanks Cat. I’ve been off the bike for a week and really appreciated the extra warmup! Paired this with Brian’s 30 min spin sculpt and got a great full body workup with a little extra cardio. MM2018. Class #6 first workout for the day! 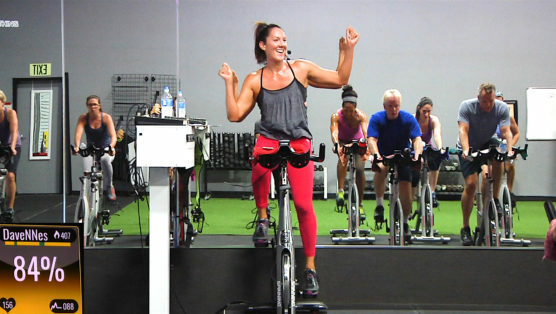 Don’t let the fact that this is only about a 30 Minute Spinning Class fool you, because this ride is packed with high intensity fun! You must understand too that this is not an “I wanna take it easy so I am only going to do a short ride” workout. This is an “I only have 30 minutes and I want to work my hardest and get the most out of it” spinning class. Grab your water, towel, good attitude, and let’s get to sweating! 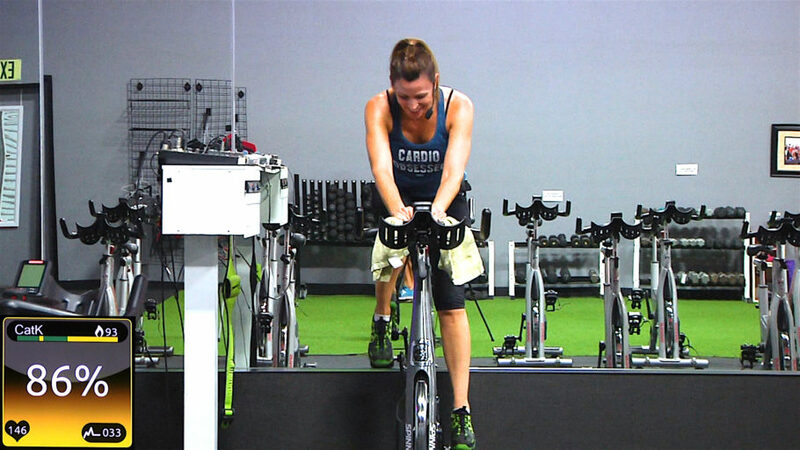 Get ready for a 30 minute high-intensity Spinning class! It’s full of sprint intervals, and a couple of “little” hills. The time will fly by with how much fun you’re going to have. Let’s get sweating! Cadence (a.k.a. 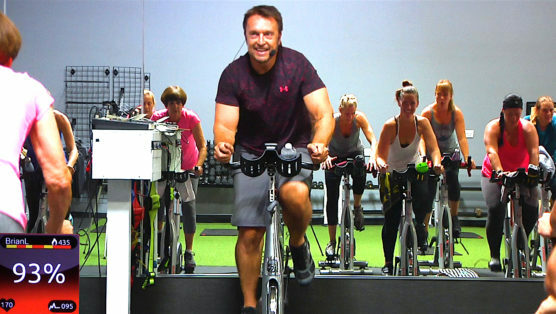 tempo) is the name of the game in this action packed 30 minute, indoor cycling thrill ride. My favorite drill is the 10-minute press, where we maintain a steady tempo while working at different resistance levels and lengths. At the end, your heart rate, sweat level, and spirits will be high – trust me! The loser in this class is fat. The winner is YOU. Go and claim your winnings! This is probably the most fun fitness class you’ll ever take. It’s a killer 30 minute Spanish Spin Class with English mixed in throughout. That’s why it’s the Spanglish Spin!